Rocky Mountain National Park can be one of the windiest locations during any of the four seasons. Late fall is no exception to this rule. 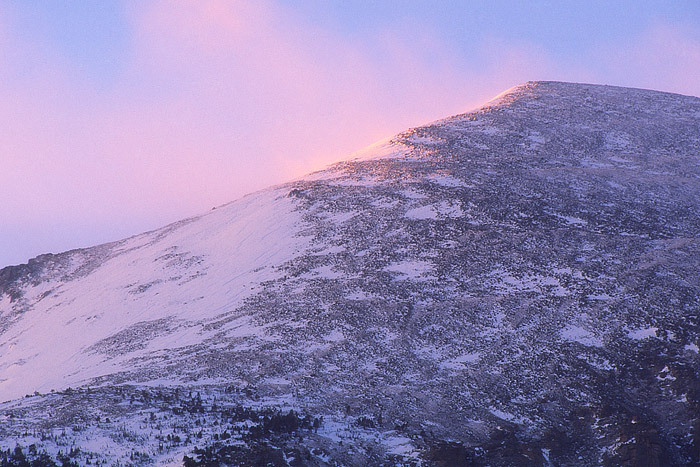 On this morning, high winds combine to blow snow and clouds around the summit of Otis Peak as sunrise paints the peak in a pink pastel. Otis peak sits between Hallet peak and Taylor peak and can be viewed from the Glacier Gorge, Bear Lake areas. Photo © copyright by Thomas Mangan.